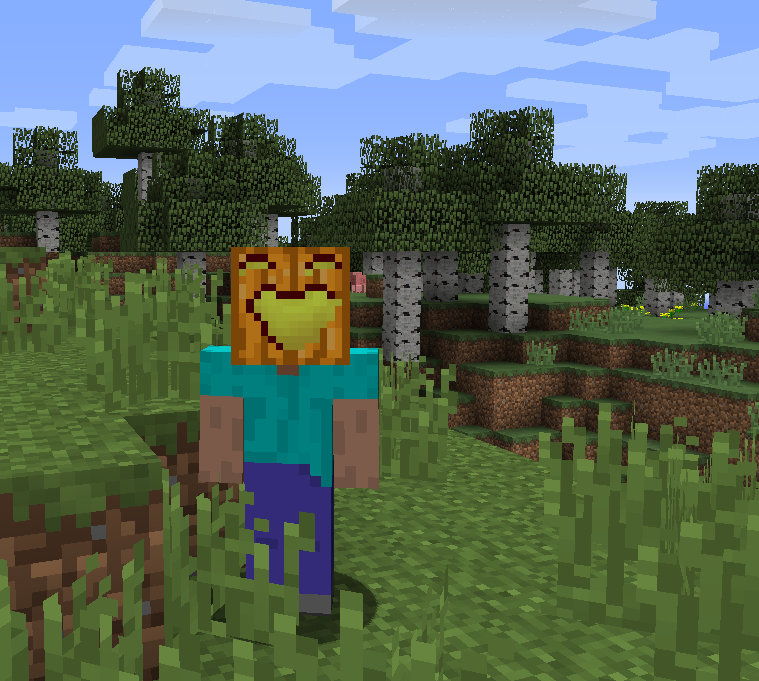 Pumpkin Carving is a simple mod that lets you carve faces into pumpkins with shears. It also removes the regular face that appears on pumpkins. You can carve it though! The pumpkins are carved with shears and a pumpkin, obviously. The position in the grid will determine the face result. Could there be some mod capability issues?? Hovering over the pumpkin does not zoom in for me just so you know. What's the config file called? It doesn't seem to be showing up for me. 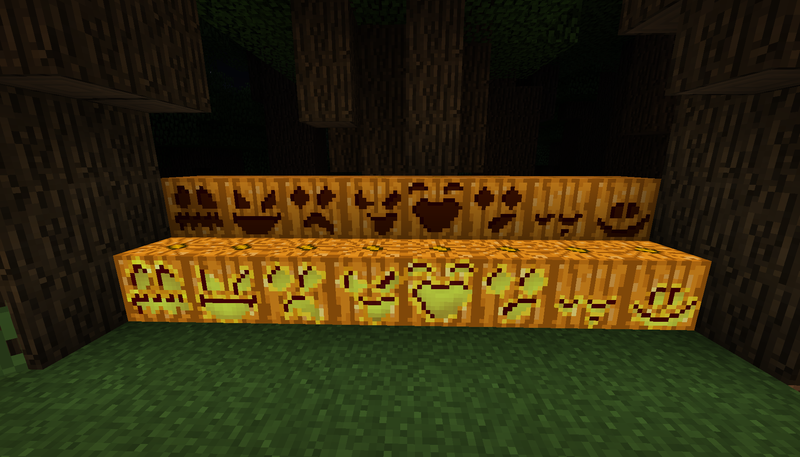 Looks very similar to Chisel's pumpkins - does it have any advantages? 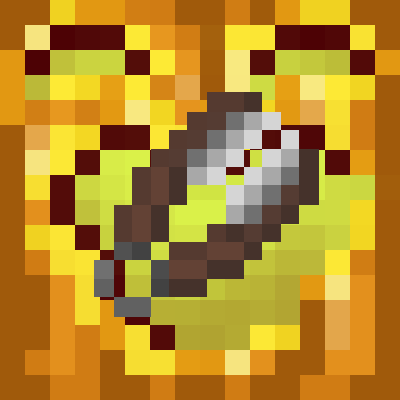 There is a dupe bug with this mod - you put the pumpkin and shears in the crafting table and it gives you a carved pumpkin but does not consume the original pumpkin. I would post to your issue tracker, but you don't have one listed in your project page. Love the mod! Would be cool if they could be worn as hats like the normal pumpkins with these different expressions! Haha love it! Honestly I'm fine without the pumpkin blur! Oh, yay! I wasn't sure this was going to update again but I missed my non-carved pumpkins. :) Cheers, m8. You can add it to 1.12.1 too becose it works fine!! This is what we were missing! !